Using the known catalogues, we can determine that the map known today as Tabula Hungariae wasn’t identified with a name for centuries. This leads to the conclusion that from the first edition published in 1528, only a few copies were made and distributed. 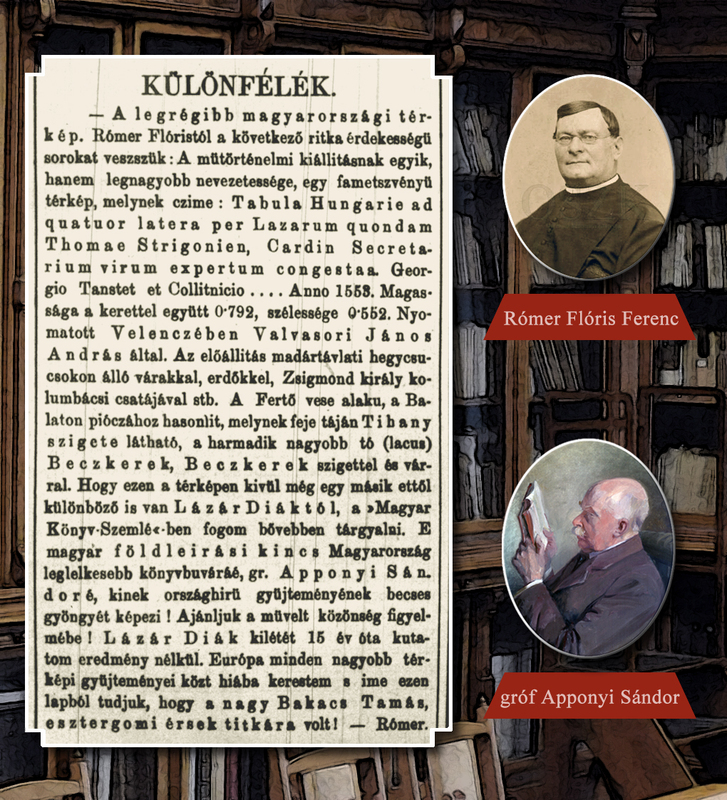 The map was bought by Count Sándor Apponyi, famed diplomat, collector and bibliographer, and was first introduced to the Hungarian Historical Society on 3rd of May 1880. A few years earlier the Count also bought the 1553 edition of the map, and presented it on the exhibition of art history on 9th of May 1876. As we know today, the Count bought the first edition between 1876 and 1880. This work is an extremely valuable piece of the Apponyi collection of the Library. It was a gift by Count Apponyi for the library founded by Count Ferenc Széchényi in 1802. In 1925, Apponyi’s whole collection was placed in the Collection of Early Printed Books, and treated as a separate unit.